Restored the site backup locally on my computer. Created a fresh installation on the production server. Ensured that the production server had all of the same extensions (and versions). Used the Admin > Site Wizard feature to apply the original site. You see… I used the site template feature as a tool to migrate a brand new website! We got to know Aderson pretty well. 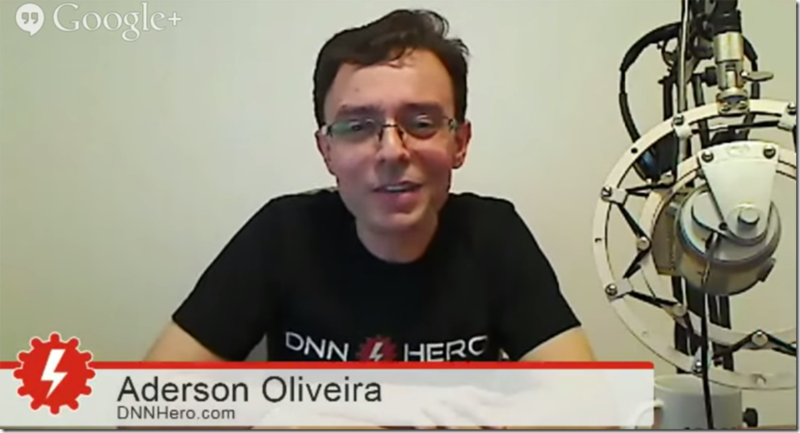 We began the interview with a tutorial on how to say his name, and found out how he found DNN. From there, we went into DNNHero and got the low-down on what the future holds for this great resource. See for yourself, with the show notes below. Armand Datema teases us with a built-in theme builder in his latest theme!